The shot was taken on Einstein’s 72nd birthday right after the end of an event held in his honor at Princeton on March 14, 1951. While walking with Dr. Frank Aydelotte, the former head of the Institute for Advanced Study, and Mrs. Aydelotte back to their car, reporters swarmed in trying to get shots of Einstein. After the crowd of reporters had dispersed, UPI photographer Arthur Sasse walked up close to the car and said: “Ya, Professor, smile for your birthday picture, Ya?”. Einstein thinking the photographer wouldn’t be fast enough stuck his tongue out and quickly turned his head away. Einstein was probably trying to ruin the photo with his silly gesture. But his plan backfired. The editors debated on whether to use the photo and Sasse remembers that “Caveo Sileo, assignment editor, liked it, but the chief editor didn’t." At the end, the picture got okayed and was used. 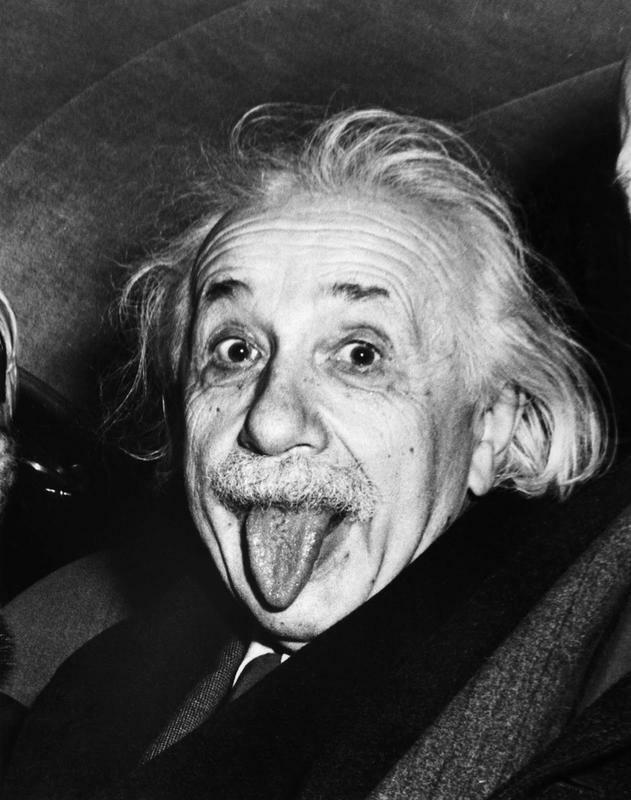 Since Einstein already had the reputation for being a bit bizarre, the photo just added to his rather peculiar charm and established a public image of him as the nutty professor. The photograph became one of the most popular photo of Albert Einstein, often used in merchandise depicting him in a lighthearted sense. The original image included the faces of Dr. and Mrs. Aydelotte in the car, but it was cropped by Einstein himself, who liked it so much that he sent his friends greeting cards with the said image. He requested UPI to give him nine copies for personal use, one of which he signed for a reporter. On June 19, 2009, the original signed photograph was sold at auction for $74,324, a record for an Einstein picture.